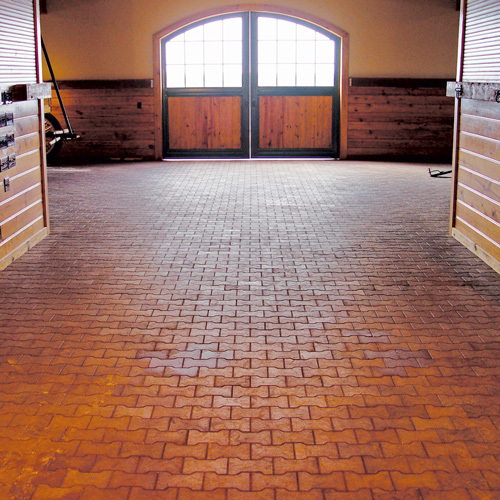 These interlocking pavers are a simple, attractive horse barn flooring option. 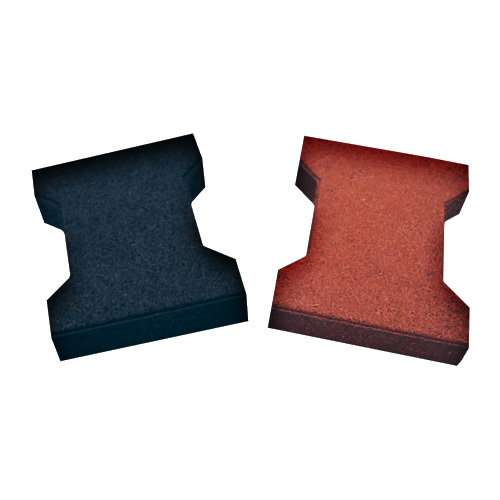 They cushion the horses' hooves, are durable in all weather conditions and are easy to install. The elegant look of these pavers will be beautiful for years! Please call 800-434-8456 for pricing. 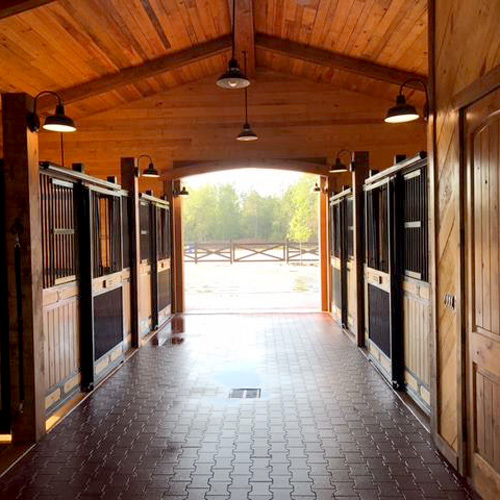 Are you looking for a beautiful non-slip surface in and around your barn? 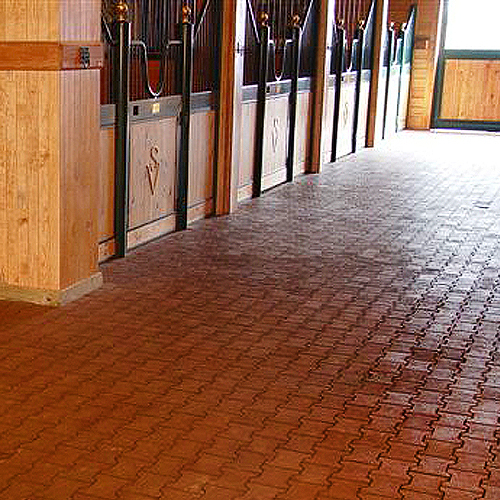 Interlocking rubber pavers are an excellent choice to improve the safety of your horses' footing. 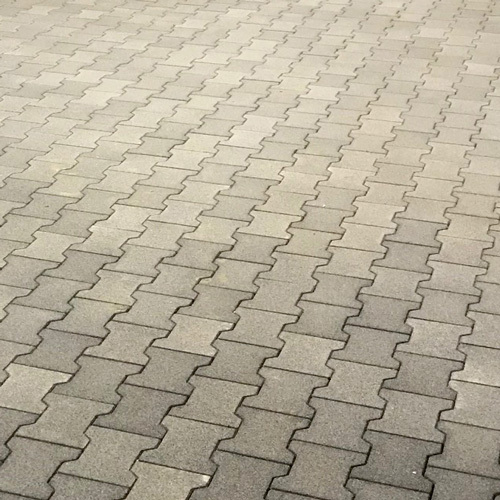 These interlocking rubber pavers can be installed inside or outside and lay side-by-side with an interlocking fit. They are made to lay on most hard surfaces and aesthetically improve the look and functionality of surfaces such as: dirt, concrete, asphalt, etc. 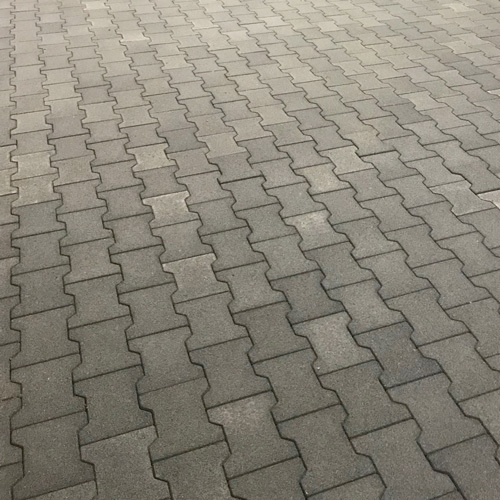 Pavers can withstand ice, water, and extreme temperatures. 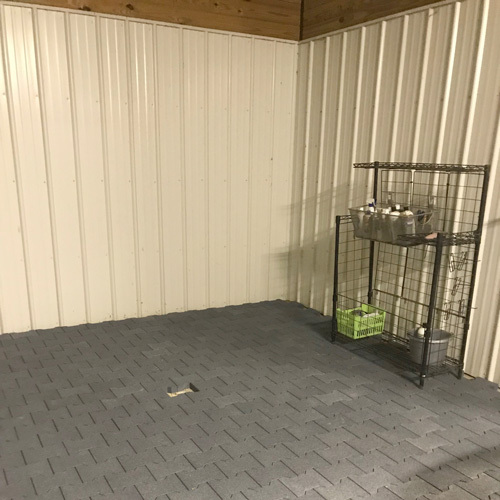 Additionally, pavers can be easily cleaned and are great for walkways, equine walk areas, barn aisles, stables, wash areas, entrances, garden paths, driveways and more! The elegant, yet a natural environmental look of these interlocking pavers will be beautiful for years! Note: The easiest way to cut pavers is with either a chop saw, cut-off saw, or band saw – band saw works the best. Note: Rubber pavers are porous and absorb water, which can lead to expansion. Please keep covered until you install them; even as much as morning dew can cause them to expand. - "We absolutely love our pavers! They look great. Thank you from all of us here at Majestic Horse Farm!" 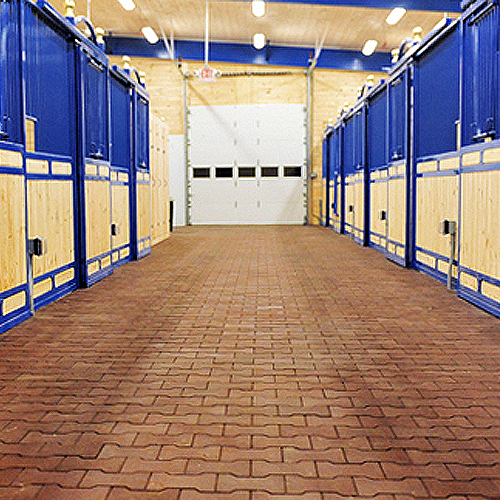 - "I cannot believe the difference in my barns overall appearance since we installed the pavers. Well worth the effort and money spent." 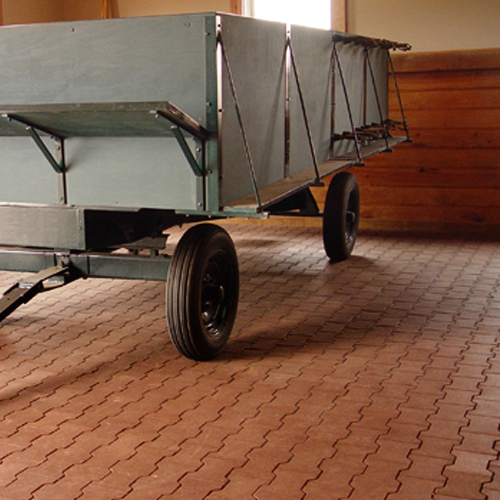 - "The pavers in the aisle way of the barn have really added the perfect finishing touch. They look great and were so easy to install. Needless to say, I'll be using the pavers in my next barn!" Includes: One "dog bone" shaped paver. Installation: The rubber paver bricks are manufactured in a dog bone shape that interlocks with adjacent pavers.